Mount Washington, located on the eastern edge of Vancouver Island, is a popular Winter destination for many residents of the Comox Valley. Every winter close to 400,000 people from all over come to enjoy the mountain and all it has to offer. It first came to be in 1979 and started with two double chairlifts. The mountain has expanded in many ways since its first opening and new plans are always in the works. Mount Washington’s latest project will be a zipline tour, aimed to be completed in 2019. It will consist of 2.3 kilometers and four zipline segments with short walks inbetween to enjoy the beautiful scenery. In the summertime, the mountain turns from a winter wonderland to a sought after destination for hikers and nature buffs. During its peak season Mount Washington offers a variety of winter activities for you to enjoy. If you like skiing and snowboarding there are different levels of slopes to accommodate everyone’s different skill level. If that doesn’t interest you, try out snowshoeing! You can bring your own or rent a pair and go on a guided tour. Another fun activity offered at Mount Washington is tubing. Grab a tube and get in line to slide down the hills! It’s a fun activity for the whole family. And after a busy active day on the mountain, check out Nurture Therapies across from the Lodge and enjoy a relaxing massage treatment. Or, check out the fitness centre that the mountain offers, with high quality equipment to keep on your work out regimen during your stay at the resort. When booking your stay, Mount Washington makes it easy thanks to the many different accommodations they offer for each budget. If you are thinking of investing in property at Mount Washington, as of September 2018, the average sale price is $295,000. 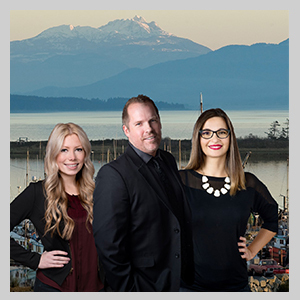 Please contact me if you’re looking to sell your house in Mount Washington and have it listed on MLS with every Real Estate Listing in Mount Washington, BC.